The 2nd Edition of the Tryon equestrian industry directory, Tryon EQD, is now available are area outlets. Featuring articles, listings of equine-related business and advertisements, the new directory is 250 pages, full color. It is published by Horse Country Productions. Copies are free for pick up. Copies to be mailed are $10 and available by contacting us by EMAIL. We're in the News! 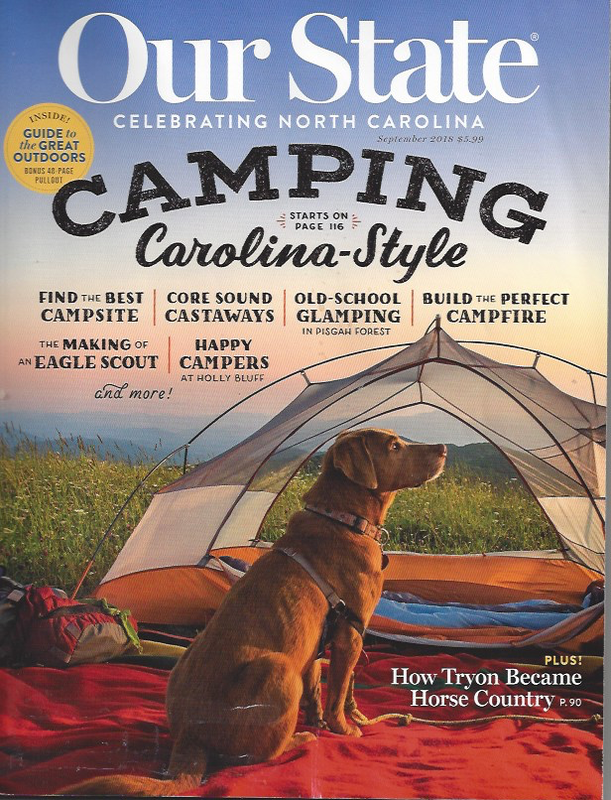 The Aug/Sept issue of Our State Magazine featured a story aptly titled How Tryon Became Horse Country. Primarily a pictorial essay (photographs by Asheville photographer Jack Sorokin), our horse country was covered from its beginnings at Pine Crest Inn to Harmon Field and historic Hunting Country Farms to TIEC and Over Mountain Winery. 22 pages. Written by Susan Kelly. See for yourself. Check it out.